Whoops - I've just remembered we're not supposed to use the words 'London 2012' except as an official sponsor of the games, which clearly I'm not. I have to say I find this slightly ridiculous - both London and 2012 are commonly used words and together could refer to many different things. And it's just one example of rather heavy handed support for the games' corporate sponsors (another is the #wedemandchange movement). It also seems particularly odd given the background of amateur involvement and spirit of competitiveness at the centre of the games. I also wonder about the real value that the sponsors get from all this. I can't say booking my tickets with a Visa card has made me any more likely to prefer this to Mastercard (and it's also annoyed many who had to take a new card for this particular purpose - and who will, I'm sure, promptly cut it up at the end of the games). Similarly with McDonalds - though the value of the meals, even without the opportunity to 'go large', was considerably higher than the other outlets, and sort of made up for the mega queues. While I'm on the subject - what planet is Panasonic on? Having people wait 50 minutes for a very short 3D film of the opening ceremony interspersed with a dozen adverts for Panasonic, followed by an 'opportunity' to view their products, is NOT smart. Coca-Cola does slightly better with their panel thing, but their estimates of the queue lengths are dismal. I thought Cisco did a lot better than any of these - their Games Face device is a lot of fun, and you even get emailed a picture after the event. Absolutely not in-your-face advertising like Panasonic, but much more likely to leave you with a positive impression of the company. And not as extreme as building a 115m high sculpture / tower, though this was fun and provided a great view over the stadium and rest of the park - so thanks Arcelor Mittal - but I'd have put my £16m somewhere else. I suppose part of the benefits that sponsors are hoping to gain some from increased engagement of their employees. This was certainly the argument put forward by BT, Sainsbury's and Kraft Foods in a session I saw called 'The Olympics as a Catalyst for People Involvement and Development' at the HR Directors Business Summit this year. I, and I know a lot of other people, weren't convinced. Wouldn't it just be a lot simpler, and certainly cheaper, to let staff take time off for Olympics events, perhaps have office parties / events linked to these, and otherwise work to increase motivation? So if not these benefits what are the real reasons companies sponsor these events? Could it be anything to do with the opportunity for execs to get premium tickets for the most in-demand events perhaps? Whatever the reasons, I'd like to see less sponsorship (and certainly less heavy handedness). Of course, this would require a different model for running the games but perhaps that would be no bad thing - meaning no zil lanes for example. That would require athletes to get themselves to events on time, just like the rest of us - and why shouldn't they have to do this? One of the highlights of Danny Boyle's Opening Ceremony for me was the inclusion of the audience in the performance through the use of pixel tablets. And I do love all the wizardry of the modern Olympics, but it'd be great to see a more broadly inclusive games - including letting everyone refer to the title of the games! Then on Saturday I was at the Olympic Park for Team GB in the women’s handball which was an amazing day too. That was partly about the handball which I hadn’t seen before and is a great sport in which we’re showing some early potential (we need to change the goalie though). But for me it was mainly about the atmosphere at the park where there was a great buzz and everyone seemed happy and friendly, which is an increasingly rare experience these days. I thought the volunteers made a great contribution to this, being friendly themselves, offering to take photos and clearly being keen to help out when they could. If we manage to keep this up, the rest of the two weeks should be fantastic too. There’s still the legacy of course. And that’s going to be even harder to deliver – and there are some disconcerting signs that we won’t manage it (see Mr Romneyshambles, I can say this, you can’t). Any legacy will be partly about the infrastructure, and I hope West Ham are finally successful in taking over the stadium after the events. But being based in West London rather than the East I’m not clear about the potential for the rest of the site. And the legacy is partly about people, hence the games’ tagline, ‘Inspiring a Generation’. And that’s probably going to be much harder to do – certainly more demanding that handing on the torch to a group of young athletes which was the one bit of the opening ceremony I did find a bit naff. From an HCM perspective, it’s about increasing engagement (in society – yes, in business – we’ll still have to see), and probably health and wellness too. This is something the Olympics could definitely make a difference too – particularly with around 30% of children aged 2 to 15 (in England) being classified as overweight or obese. (See Mitt I could have talked about the US here, but I’ll choose not to do that). It’s something else I was talking to people about at Monster Buzz where I to think Gareth Jones made the point that there was nothing overt being done to encourage young people to engage in sport (and I did look under my seat in the handball for something but there wasn’t anything there). But perhaps we don’t need this – eg with the current upsurge in cycling to get around the extra traffic in London, plus all the interest in Bradley Wiggins, Mark Cavendish, Sir Chris Hoy and Lizzie Armitstead, we shouldn’t need any more promotion to get more people on their bikes. And it’s early days so far, but from the way my daughters have been playing with their Olympic footballs on way back and since we got home, I think we’ve got it about right. Right, sorry about that – two weeks away from blogging. I’m not sure why really though I have been feeling a bit less buzzy than normal. For example I found myself in a particularly morose mood at the Monster Buzz event last week. 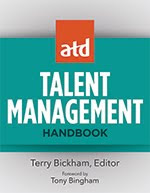 Perhaps it was the questions I was asked but I seemed to spend a lot more time talking about why talent management isn’t working very well rather than why it’s so important (although we did still come to the collective conclusion that talent management IS more important than talent acquisition, so that’s one positive outcome recently). Although perhaps of course this is one reason why it is so important? Then, there’s the CIPD’s Employee Outlook which suggests that only a third of workers trust their senior leaders and more than half display signs of having adopted a ‘not bothered’ attitude to their work. in the survey of when people are actively engaged at work. The one piece of good news I suppose is that people are at least more engaged in work than they are without it – shows in this week’s National Wellbeing survey (Happiness Index) results that whilst 20% of UK workers rated their life satisfaction below 7 out of 10, this increased to 45% in the unemployed. That’s not saying much though is it, surely we should be aiming for more? Another event later on this year that I’m particularly looking forward to is PersonalForum organised by HRNorge in Tonsberg, Norway in November. 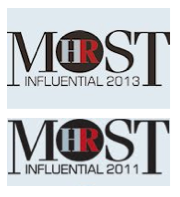 Ingham is mildly critical of two important trends in HR. The strong focus on HR must get closer to the business means that we risk losing some of what makes HR value - the human side. In addition, he points out that the focus on performance measurement may be too strong. "When performance measurement is performance monitoring culture will suffer", therefore it is important that HR work more relationship-oriented, says Ingham. He believes that HR has much to gain from being more relationship-oriented, and here comes the social media. HR technology is an area where there are extraordinary opportunities to create new values ​​of HR, says Ingham. At the same time they are used in special processes such as recruitment, training and internal information. Through social media based business network that can prove to be valuable, for example in recruitment. It is about using technology to develop new and deeper relationships that business can take advantage of in order to attract the very best. After recruitment, it is internal communication and training that is the most common use. Social learning is more effective and it can be done through informal conversations with each other or training of the teams and larger groups. Collective intelligence is not about information flows and processes that are supported by social tool - it is about giving people autonomy to make faster and better decisions with the help of social relationships. For every 250 blogs that speaks out in an empty virtual room for nothing, it's a voice that delivers value and perspective. The democratization of publishing technology has made it possible for all kinds of voices to be heard. The fact that so little is actually said is a problem only if you do not agree with Einstein, who said that "only two things are infinite, the universe and human stupidity - but I'm not sure what is the universe." In other words: The ability to deliver social media is absolutely no guarantee of quality. Or success. 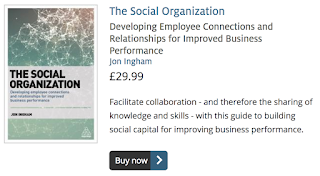 But Ingham has success, and he has made it even through his blog), and later with the book "Strategic Human Capital Management: Creating Value Through People". The Human Forum 2012, Ingham to talk about how HR is now increasingly use social media to support their own processes. How will HR in a more efficient way to facilitate relationships and expertise effectively 2.0 business must have. Jon Ingham, is a British HR blogger, author and Top 25 HR Thinker in the United Kingdom 2011. The Human Forum 2012, you can hear him lecture "Social media in the business - why it's HR's role." We’re half-way through the Summer now (even if it does feel as if we’ve not actually got started with it yet) – they’ve even started selling tickets for Hyde Park’s Winter Wonderland today - and I’m starting to think about some of my key events for Autumn. SocialHRCamp explores how Human Resources professionals around the world can leverage social media to create and generate unparalleled business value. This is not a typical conference where you spend most of your time being spoken at. Whether you’re new to social media or an expert, SocialHRCamp is for you. You will be able to customize your Camp experience based on your skill level—beginner, intermediate and advanced. Not only will you learn from others, you will have the opportunity to collaborate with your peers and showcase your talents and interests in an impactful way. This unconference has another different format from TRU, ConnectingHR, HREvolution etc and should be a really good social learning event. I’ll be track leading at both events and it’d be great to see you there, and I imagine I’ll be busy posting from the events as well. You may have noticed that the CIPD did select one of my top ten choices for their new CEO – Peter Cheese – who started work there this week. And like every new CEO, I’m sure Peter is busy thinking about the new directions he wants to take the organisation in. Well, since the CIPD took my advice last time (even if they paid Sam Allen Associates for it), I’m encouraged to provide a spot more input. What direction should the CIPD now move in? One of the problems for the CIPD is that it’s not separated in the way of ICAEW and AAT for Accountancy etc. That means the institute needs to cover both operational and strategic activities and it suffers because of the difficulties that HR generalists used to suffer before Ulrich’s strategic partner / admin expert split. One option would be to bifurcate though I’m not actually suggesting this. However if it does remain as one organisation it needs to ensure it’s the strategic agenda which gets more weight. HR (and business as a whole) is an an inflection point – and this means HR / HCM strategy is more important now than it’s ever been before. The previous CEO wasn’t an HR strategist (eg her comment: “I mean, what is strategic HR?”). Peter is. And it’s time to highlight our increasingly strategic agenda. This doesn’t mean that the CIPD needs to promote one approach. 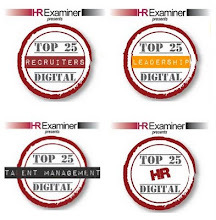 Next generation HR was a mistake when there are a broad variety of possible new generations. It’s fine as a blogger – I need to promote a single perspective in order to get heard. A professional institute needs to reflect the complexity and diversity which exists. Its purpose shouldn’t be to direct practitioners in one single direction, but to develop thinking about the different routes they may want to take. The key is to help practitioners think about these options for themselves. As I explained in my last post, social capital is increasingly important compared to human capital and forms a major part of HR’s inflection. Social HR is going to be the big new theme for quite a few more years. This isn’t just about social media, but technology is a key new enabler for a more social approach to managing people – and more importantly, the relationships between them. The CIPD does understand this – which is why it has produced the report I describe in my last post (Peter already gets it too) - but the institute also needs to put much more focus into this new agenda – eg it needs to be a big focus in the annual conference (see below). And the CIPD needs to use social media much more itself too (the digital team are doing some great work already, but social media still needs to be much more widely adopted across the organisation), role modelling the broader use of these technologies across HR which is an increasingly important requirement. It’s either this, or other functions will continue to shake their heads at our social illiteracy. And of course, we’ll also fail to capture the opportunity to transform our processes, and the effectiveness of the organisations we work within. The last two points refer to what HR / the CIPD need to do. This point is about how it needs to work. Using social media more is part of this too, but again being social is about more than just using technology. It’s a wider point about how all key stakeholders – especially the CIPD’s members – are included in formulating its agenda. The key opportunity for this is to make more of the CIPD’s local groups. These need to receive much more support and attention as they provide the main opportunity available to the CIPD to get close to its members. OK, a lot of these groups are less than dynamic but if they were supported, if they had a proper role in the CIPD’s policy development, then they’d attract more of the broader membership too. The existing groups could also be supplemented in various ways, eg through sector based groups, interest groups etc. And each of these groups should be supported to develop their own ideas, and conduct the research which they see as appropriate. To do all of this, ‘CIPD Towers’ needs to see itself less as a head office, and much more of a facilitating and co-ordinating group, helping share and draw out key points from all of its members. 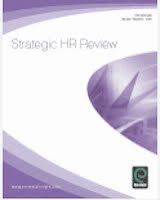 By far the worst decision of the previous administration was to buy the CIPD its own HR consultancy, Bridge. I’ve heard less about this group recently, but the CIPD are promoting their own consultancy services even more actively . This makes no sense at all and if I ever was to stop my membership of the institute it is the fact that I am paying into something to help it compete with me (not that it ever will compete with me effectively, hah!) that will almost certainly be the the main reason. Besides this, once the CIPD has managed to get closer to its members, it will be able to achieve the same results – and more – by partnering with member consultants, not competing with them! Get rid of it Peter! By the way, I enjoyed attending the CIPD’s opening in Singapore last year, and hope Sarah and Stuart are still having a good time there. But I don’t understand the strategy. Partner with CIPD members in Singapore by all means, but that doesn’t mean having to have an office there. I think the real reason for being in Singapore is to support Bridge. Sell Bridge, and they don’t need to be in Singapore. The CIPD’s annual conference is still the institute’s main set-piece but is much less impressive than it was. Improving it might involve being more strategic, being more social, using social media, involving groups and members, and of course, not involving Bridge. One way of achieving all of these benefits would be to have me as a speaker! Despite being an increasingly popular speaker all around the world I’ve not been invited to speak (outside the exhibition, eg my sessions on blogging and tweeting last year) by my home institution since February 2008. That means CIPD members are missing out on some of the most strategic and social thinking about HR than exists – in the UK and elsewhere (I know that’s blowing my own trumpet, but that’s better than referring you to the various other commentators which have made these points themselves). Apparently this year’s conference is going to feature mostly practitioners – so I, and therefore the CIPD members, are likely to miss out once again. I think that’s a mistake. Yes, all conferences need to include a good proportion of practitioners, but consultants do play an important role, and it’s here that new thinking tends to emerge. I repeat the same point – HR’s at an inflection point, and if Peter, and the CIPD, wants members to understand what this is about, they really need me on that stage. Of course, we shouldn’t forget about unconferencing. ConnectingHR has shown conference organisers how successful conference-type events can be when developed through a more social lense. The CIPD could make a lot more use of this type of approach (though incorporating other more social features like just ensuring all presentations have a good amount of time for Q&A would be a great place to start!). And whilst I’m on the topic of the conference, I might as well note the issue which all members already understand which is that the current venue / location is wrong. If we can’t go back to Harrogate, can we move to, or switch between, smaller places like Blackpool and Bournemouth - or just move about the country like SHRM? Whatever the solution it needs to be somewhere in which people can stay more connected than is possible in Manchester. Or, how about getting all the local groups to find somewhere within their geographies, and we get people together like that – and then use social technologies (live video streaming, status updating etc) to link all these different groups together? That would give enterprise 2.0 folk in other functions something to think about and could be a really, really interesting and productive conference / unconference event as well. So – do you agree on the above? Do let me – and Peter - know if you do – and more importantly, if you don’t. Plus, of course, I’ve only suggested five points here – do you want to add any personal suggestions, and we’ll see if we can get to ten?